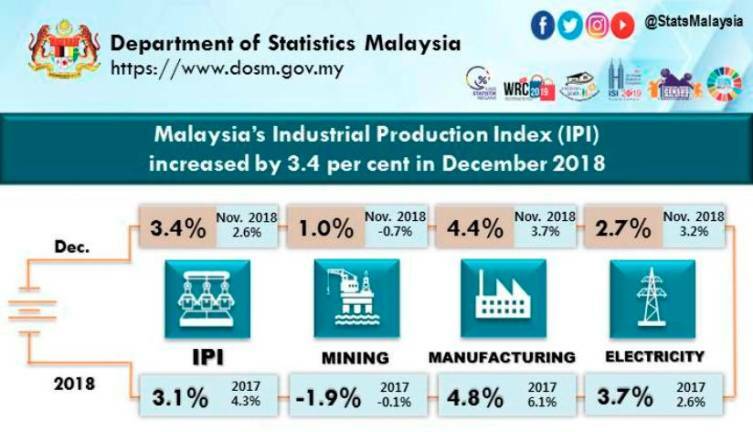 11 Feb 2019 / 12:45 H.
PETALING JAYA: Malaysia’s industrial production index (IPI) expanded 3.4% year-on-year in December 2018 driven by the increase in all indices, including manufacturing (4.4%), electricity (2.7%), as well as mining (1%). 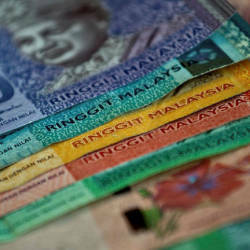 The Statistics Department, in releasing the IPI for December 2018, said Malaysia’s IPI for 2018 increased by 3.1% as compared to 2017, contributed by the growth in manufacturing sector (4.8%) and electricity sector (3.7%). 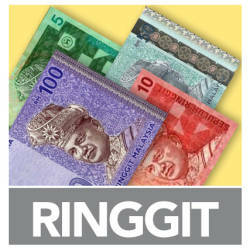 However, it said the mining sector declined by 1.9% during the period. On yearly basis, the manufacturing sector index increased by 4.4% in December 2018 after registering a growth of 3.7% in November 2018. The major sub – sectors that contributed to the growth in December 2018 include electrical and electronic equipment products (7.2%), transport equipment and other manufactures products (7.0%) and petroleum, chemical, rubber and plastic products (3.6%). The mining sector index recorded an increase of 1% in December 2018 as compared to the same period in 2017, driven by the growth in crude oil index (2.5%) while the natural gas index decreased marginally by 0.2%. The electricity sector index increased by 2.7% in December 2018 as compared to December 2017, it added.